Greater international cooperation is needed to prevent unsafe food from causing ill health and hampering progress towards sustainable development, world leaders said at the opening session of the First International Food Safety Conference, in Addis Ababa, organised by the African Union (AU), the UN's Food and Agriculture Organisation of the United Nations (FAO), the World Health Organisation (WHO) and the World Trade Organisation (WTO). The follow-up, International Forum on Food Safety and Trade, which will focus on linkages between food safety and trade, is to be hosted by the WTO in Geneva in April. The two meetings are expected to galvanise support and action in key strategic areas for the future of food safety. More than 600 million people fall ill, and 420,000 die, every year due to bacterial, viral, parasitic, toxic or chemical food contamination. Illness linked to unsafe food overloads healthcare systems and damages economies, trade and tourism. The impact of unsafe food costs low- and middle-income economies around $95 billion in lost productivity every year. These threats are a powerful illustration of the importance of food safety at every stage of the food chain, from production to harvest, processing, storage, distribution, preparation and consumption, said conference participants. “The partnership between the African Union and the UN has been longstanding and strategic,” said AU commission chairperson, Moussa Faki Mahamat. “This food safety conference is a demonstration of this partnership. Without safe food it is not possible to achieve food security,” Mahamat said. FAO director-general José Graziano da Silva agreed with Mahamat. “This conference is a great opportunity for the international community to strengthen political commitments and engage in key actions. Safeguarding our food is a shared responsibility. We must all play our part. We must work together to scale up food safety in national and international political agendas,” said Graziano da Silva. “Food should be a source of nourishment and enjoyment, not a cause of disease or death,” said Dr Tedros Adhanom Ghebreyesus, WHO director-general. “Unsafe food is responsible for hundreds of thousands of deaths every year, but it has not received the political attention it deserves. Ensuring people have access to safe food takes sustained investment in stronger regulations, laboratories, surveillance and monitoring. In our globalised world, food safety is everyone’s issue,” Tedros said. 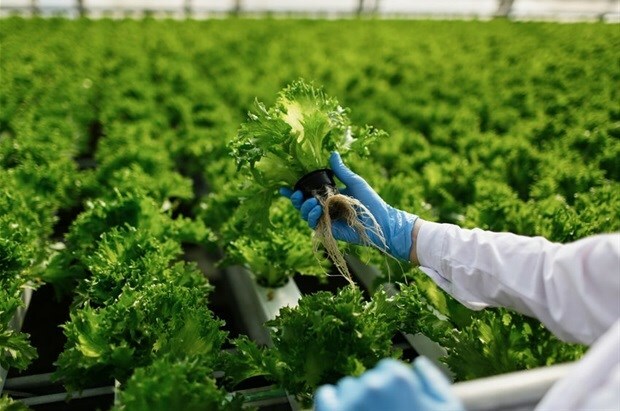 “Food safety is a central element of public health and will be crucial in achieving the 2030 Sustainable Development Goals,” said WTO director-general Roberto Azevedo. “Trade is an important force with which to lift people from poverty… when we reconvene in Geneva in April we will consider these issues in more depth,” said Azevedo. Around 130 countries participated in the two-day conference, including ministers of agriculture, health, and trade. Leading scientific experts, partner agencies and representatives of consumers, food producers, civil society organisations and the private sector are also taking part. Technological advances, digitalisation, novel foods and processing methods provide a wealth of opportunities to simultaneously enhance food safety, and improve nutrition, livelihoods and trade. At the same time, climate change and the globalisation of food production, coupled with a growing global population and increasing urbanisation, pose new challenges to food safety. Food systems are becoming even more complex and interlinked, blurring lines of regulatory responsibility. Solutions to these potential problems require intersectoral and concerted international action. A central theme of the conference was that food safety systems need to keep pace with the way food is produced and consumed. This requires a sustained investment and coordinated, multi-sectoral approaches for regulatory legislation, suitable laboratory capacities, and adequate disease surveillance and food monitoring programmes, all of which need to be supported by information technologies, shared information, training and education.